“Wekufe: Origin of Evil” (Wekufe) is the first found footage movie to hail from the country of Chile. The film is written and directed by first-time feature film director Javier Attridge. The story follows a journalism student and her boyfriend who travel to Chiloé, a small island south of Chile. The couple investigates a possible connection between a large number of sexual related crimes in the region and an ancient local legend. 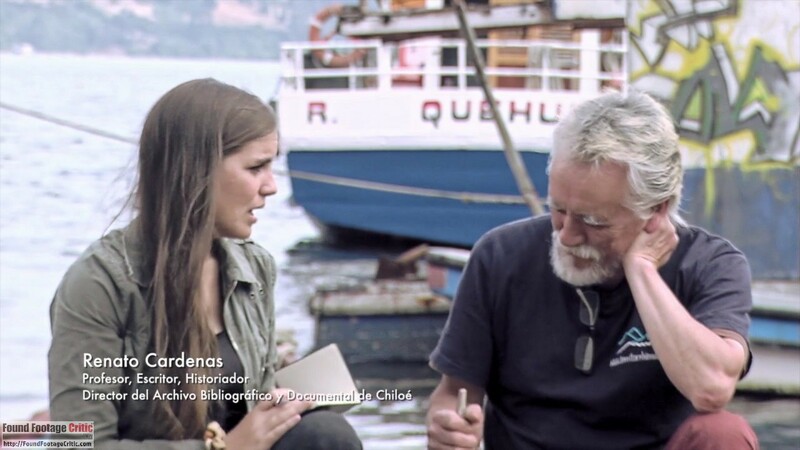 The film opens with a teaser of journalism student Paula (Paula Figueroa) and cinematographer Matias (Matias Aldea) interviewing a Chiloé local. The conversation delves into the environmental and economic impact of large corporations on the small but vital salmon farming industry in Chiloé. More of this interview is presented later in the film which takes on an entirely different meaning. Next, the film presents the obligatory on-screen message describing the roots of the word “Wekufe,” the film’s namesake. The term loosely translates to demon and pertains to someone who is evil. From here, the main plot thread of film opens with Paula and Matias purchasing provisions for their trip to Chiloé. The couple set out to investigate the island’s legendary creature known as the Trauco. The mythical creature is said to seduce and impregnate young women. 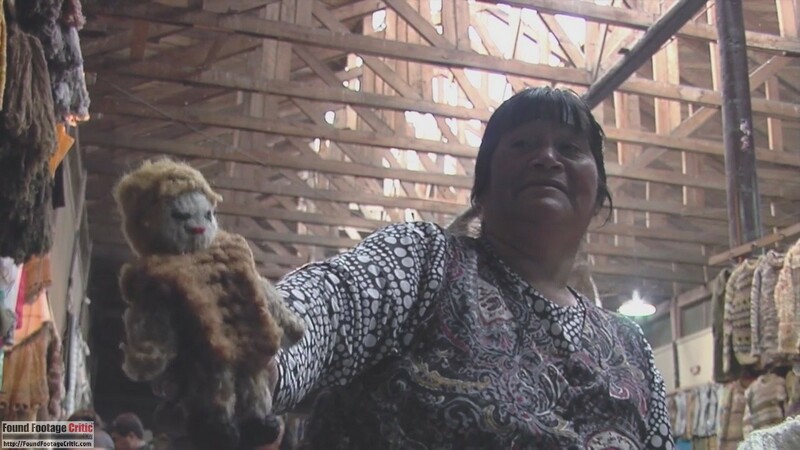 Paula asserts that the Chiloé locals are using the Trauco as a coverup for the island’s historically high number of sexual related crimes. The couple interview government officials, Chiloé locals, historians, and Trauco experts in an effort to expose any relationship behind the high sexual crime rate and Trauco. All along, Matias, a recent film school graduate, has his eyes set on using this trip for a secondary purpose. 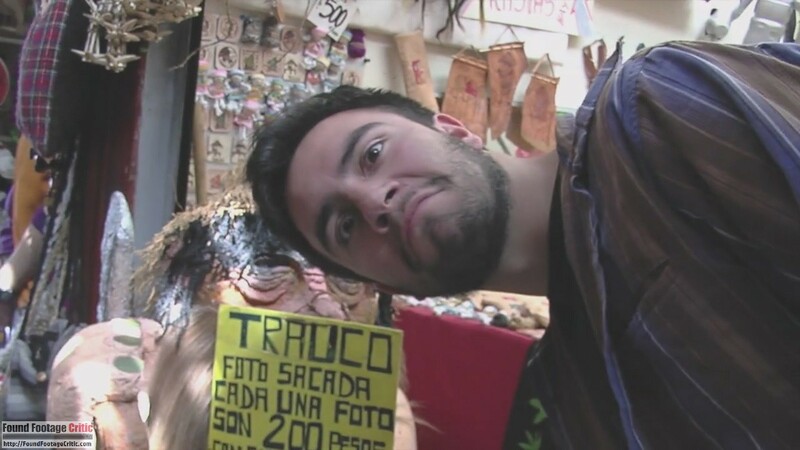 Matias wants to create a found footage horror movie and believes their investigation of the Trauco is the perfect backdrop. With this goal in mind, Matias expands the scope of filming to capture enough footage for his feature length film. The couple delves much deeper into the roots of the legend of the Trauco then they had originally planned, only to find themselves spiraling into grips of the ancient evil legend. Wekufe is a Spanish language film with English subtitles. 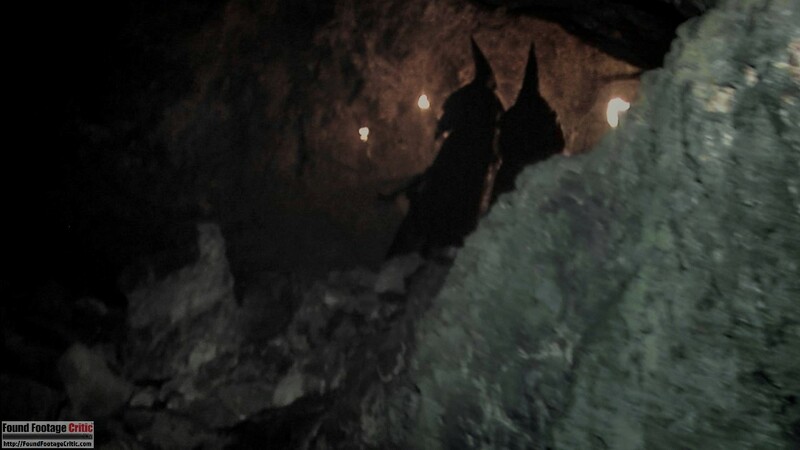 The original Chilean (Spanish) name of the film is “Wekufe: El Origen Del Mal.” Like many great horror films, director Javier Attridge bases the plot of Wekufe on actual local legends and historical events. 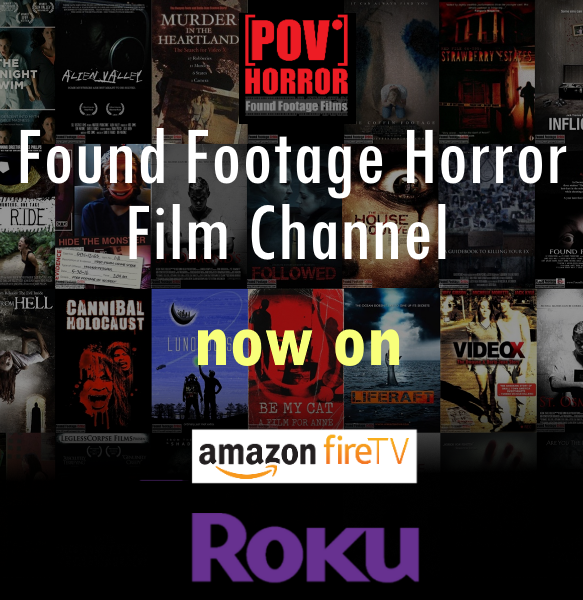 When coupled with found footage, this approach lends a strong foundation to the film’s premise and credibility within the genre. The film is set on the small island of Chiloé, south of Chile. 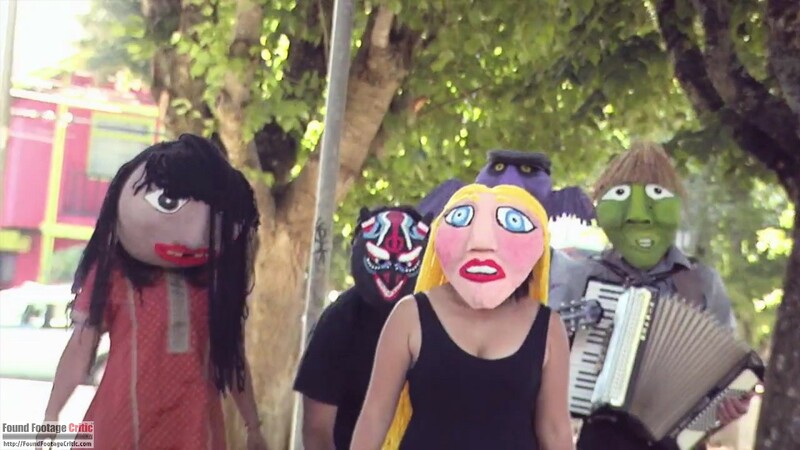 Wekufe makes reference to local Chiloé folklore, which speaks of a mythical creature known as the Trauco. According to local legend, the Trauco is a short ogre-like creature that seduces young women in their sleep. Legend has it that the Trauco is also responsible for a large number of unwanted pregnancies on the island. It’s not uncommon for women in Chiloé who give birth and are unable to identify the father to blame the Trauco to avoid family disgrace. The use of actual folklore as the basis for Wekufe is a smart approach to filmmaking. The legend of the Trauco already has an established mystique and aura that the film leverages. Not only is this approach more economical than creating a new story, but using actual folklore infuses a real fear that is not easily replicated through pure fictional screenwriting. The underlying story driving Wekufe is entertaining and also very creepy given that the film is grounded using an actual local legend. Additionally, the writing and storytelling contain a great deal of subtext, making the film thought provoking as well. We commend writer and director Javier Attridge for the intelligent and well-place humor and sarcasm laced throughout the story. This reviewer laughed out loud several times during Wekufe, which is rare for a found footage horror film. As mentioned earlier, the film has two overlapping plot threads. 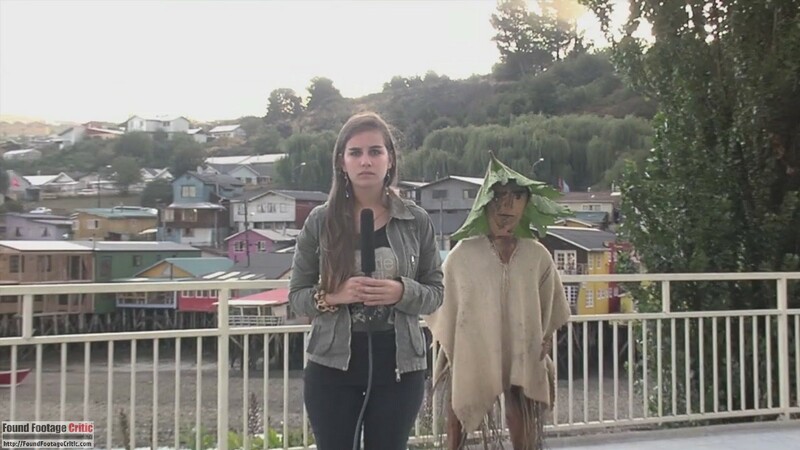 Paula is capturing her journalism story (for school) on the rampant sexual crime rate in Chiloé and relationship to the Trauco, while Matias is intent on using Paula’s coverage of the Trauco as an opportunity to create a found footage horror film. While these two objectives seem to be at odds, there’s a harmonious overlap between the two given the horrific nature of the Trauco legend permeating both projects. The acting of Paula Figueroa as character Paula is exceptional. Equally as impressive, is the performance of Matias Aldea as character Matias. These two characters exhibit a great banter and synergy that starts in the opening scenes of the film that carries through to the bitter end. This banter is used as a vehicle to present some great humor and sarcasm. The chemistry between Paula Figueroa and Matias Aldea is completely believable. So much so that reviewer wouldn’t be surprised if these two actors were real life friends. 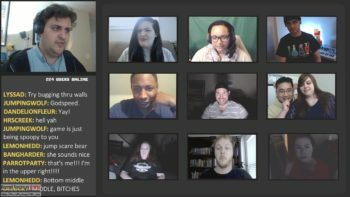 One great joy in Wekufe is watching Paula and Matias debate over the merits (or lack thereof) of the found footage genre. Matias, a horror fan himself, cites horror movies throughout the film, making reference to Rosemary’s Baby, The Blair Witch Project, H.P. Lovecraft, and Swamp Thing, to name a few. This approach adds yet another tier of complexity to the already deeply layered writing. Director Javier Attridge effectively breaks the fourth wall (speaking directly to the audience) through his characters’ satirical found footage discussion. 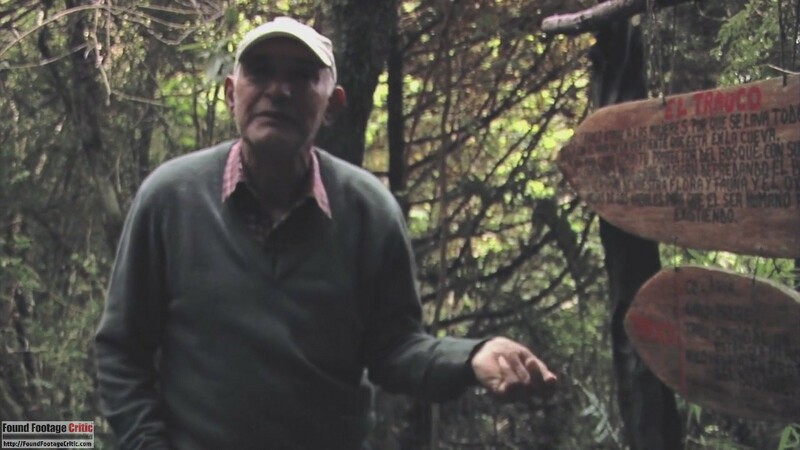 Also noteworthy, director Javier Attridge told Found Footage Critic that aside from the principle cast, most of the characters encountered in Chiloé are actual residents of the island, not trained actors. The found footage purity in Wekufe is very well done. A professional video camera held by character Matias captures most of the found footage throughout the film. Since the character of Matias is a professional filmmaker, the steady hand and nicely framed shots used throughout the movie makes perfect sense. During most scenes where the characters are stressed or in danger, the camera is held askew or pointed towards the ground which add’s to the film’s realism. 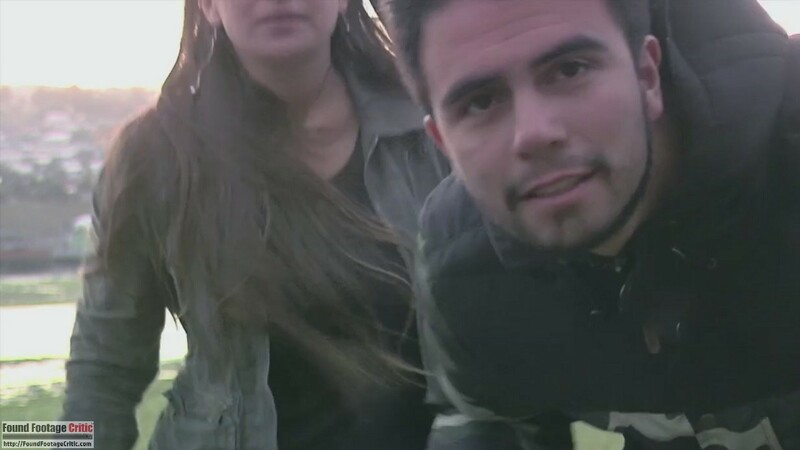 Although the found footage purity is very good, it falters somewhat during several scenes very late in the film where Matias is in danger. The manner in which the footage is shot during these latter scenes comes across as too composed for someone in Matias’s predicament. Wekufe is presented as a professionally edited film with background music and a few musical montages. While on its face, this approach seems to violate the found footage conceit of Wekufe, the film hints that what we’re watching was subsequently edited by a third party. During a very early scene in the film, Paula mocks the found footage genre, jokingly saying into the camera,“if you are watching this video, most likely I’m already dead […] with some good editing and background music [this would] make a great movie.” This scene effectively breaks the fourth wall, speaking directly to the audience and offers some not so subtle foreshadowing. However, despite the compelling filming reasons used early in the film, there are a few scenes towards the climactic ending where the filming reason comes into question. During a lengthy scene near the climactic ending, one of the protagonists films while in grave danger which does not come across as completely genuine. The found footage cinematography employed in Wekufe is spot-on. As mentioned earlier in the Found Footage Purity discussion, a professional video camera wielded by Matias is used to capture all footage in the film. Generally speaking, the camerawork is very well done throughout the film. Of particular note, Wekufe contains several interesting camera techniques worthy of discussion. In one scene where the two protagonists are driving, Paula nonchalantly places the handheld video camera on the car dashboard so it’s capturing both characters in-frame. The subtlety in which the camera placement is done comes across as purely coincidental and realistic. 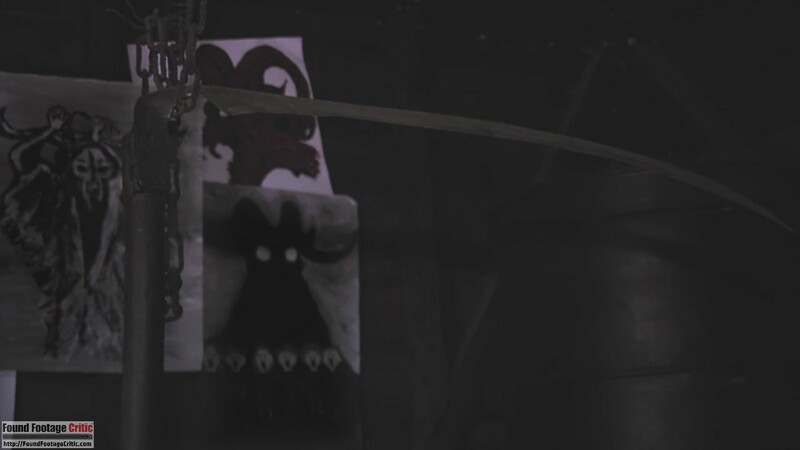 While this brief scene may come across as trivial in the grand scheme of Wekufe, it’s nuances like this one that add to the found footage conceit of the film. Also of note is a scene where the two protagonists enter a police station to conduct an interview. Matias holds the camera at his side pointing upwards recording so not to draw suspicion. Once again, this technique is used very subtlely without any dialog to setup the scene, as none is needed. While this technique is nothing new to the genre, most found footage films with similar scenes add unnecessary dialog for the benefit of the audience to explain that the filming is being done undercover. Wekufe artfully employs very subtle sound design effectively raising the tension where needed. 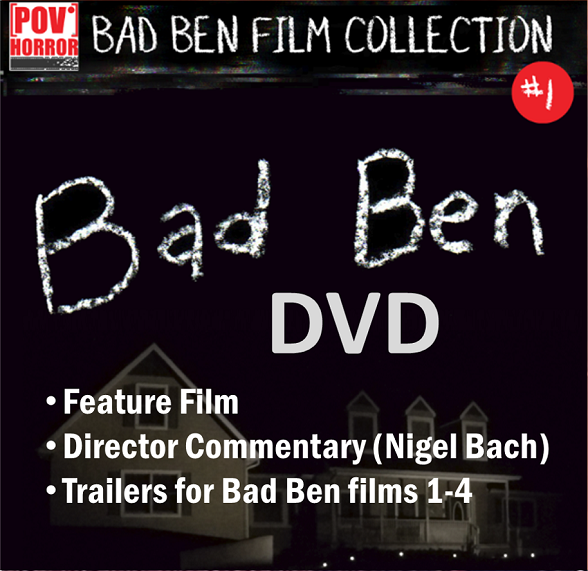 The film initiates a very low hum during scenes where something supernatural is taking place. Accordingly, the sound is barely noticeable, yet is likely to subconsciously make viewers feel uneasy. 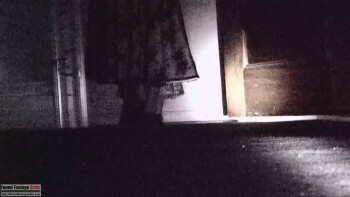 The technique used in Wekufe is very similar to that used in the Paranormal Activity series. As of the publishing of this review, Wekufe: The Origin of Evil is in post-production and will be entering the festival circuit. As such, an announced release date for the film is still pending. 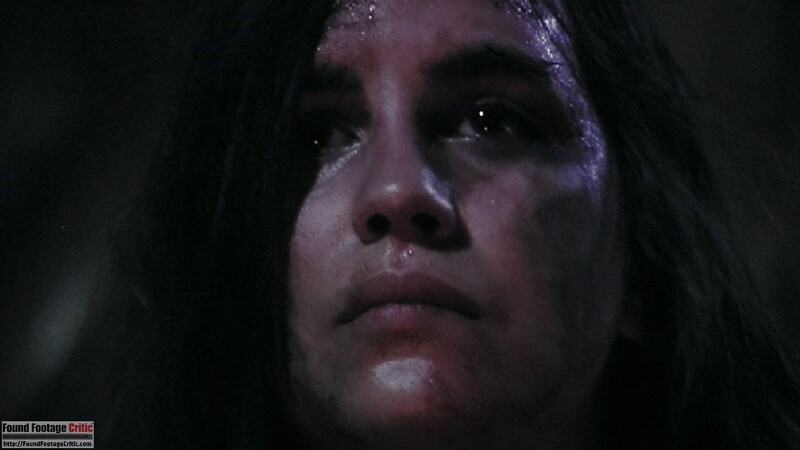 WEKUFE: THE ORIGIN OF EVIL is the first found footage film from Chile and is worthy of the distinction. The movie has great acting, plot, cinematography, and humor, making WEKUFE a must watch for found footage and horror movie fans.